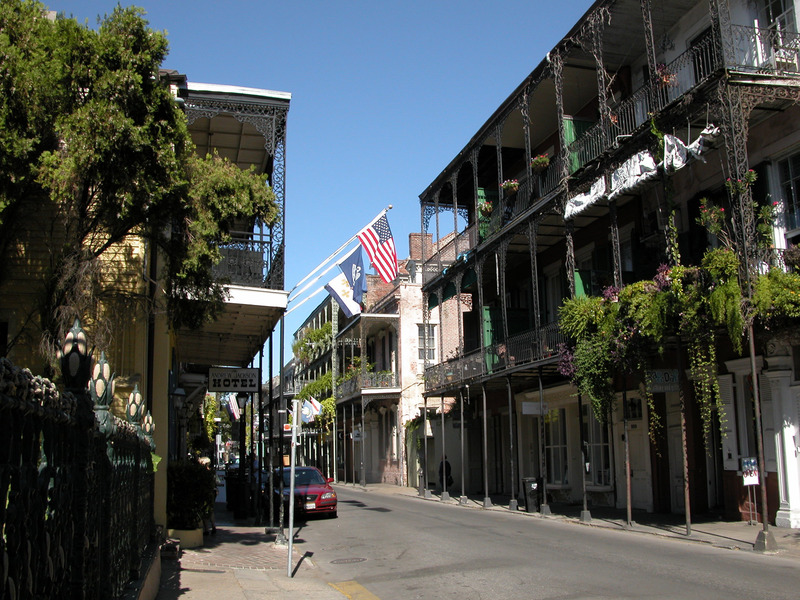 This is a view northeast up Rue Royal in New Orleans’ French Quarter. 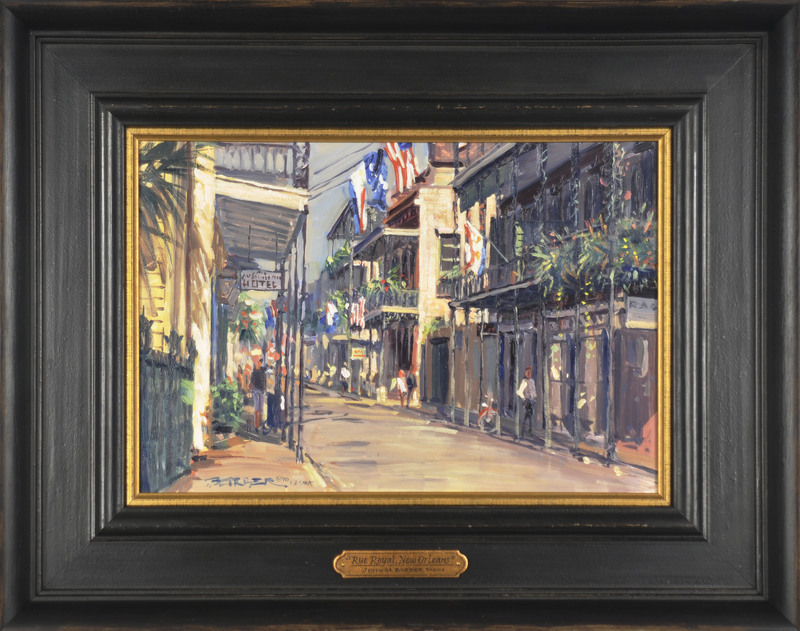 On this lovely street is found quaint inn’s, restaurants, shops and art galleries. 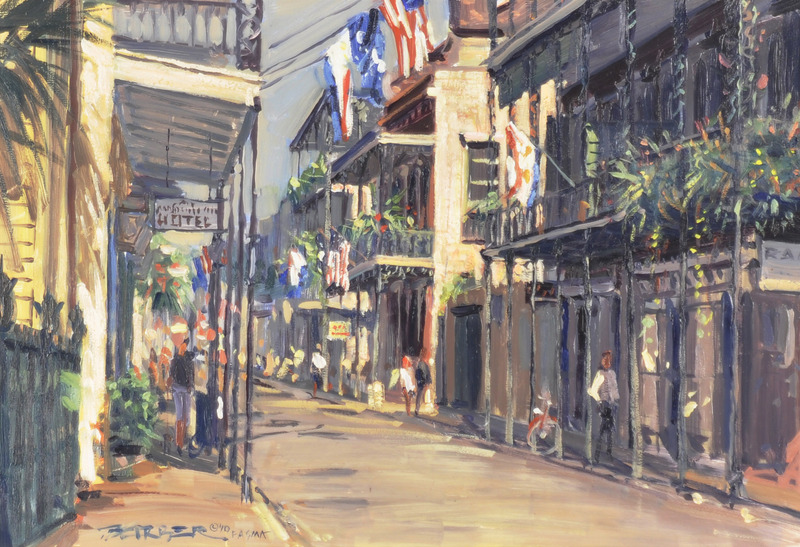 Even though Royal Street is quite refined in its feel the rowdy Bourbon Street is but a block away. The little oil painting was done directly from nature, the French impressionist would say it was painted “en plein air” or in the open air, as opposed to the studio. It took about four hours to complete the piece resulting in a looser more “impressionistic” style. Oil on Art Board. Art 8″ x 12.” Overall 13 3/4″ x17 1/2″ . 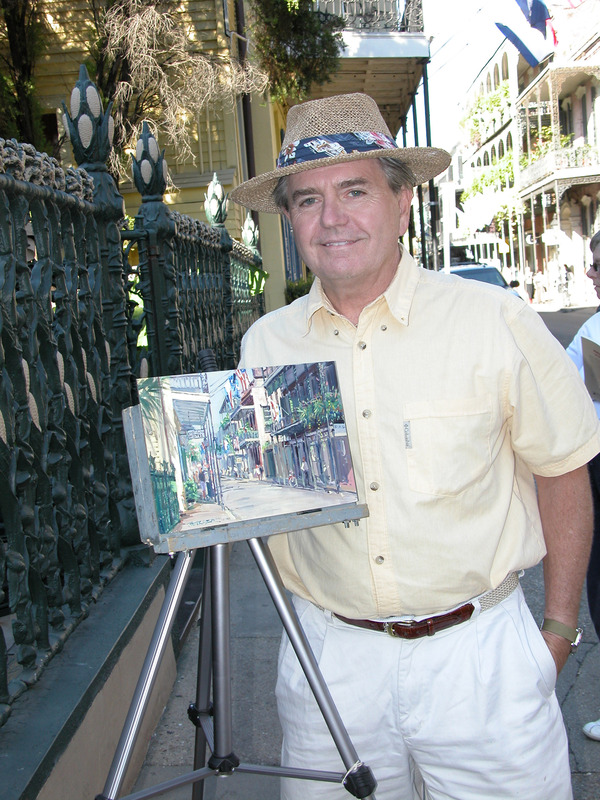 Not for sale – Artist’s Collection. I will however be happy to create a similar piece expressly for you!